The Swedish Academy announced on Friday morning that there would be no Nobel laureate for literature selected in 2018, as it attempts to come to terms with controversy over its links to a man accused of sexual assault, reported The Guardian. For the first time since 1949, the secretive jury that hands out the world’s most prestigious literary award will not unveil a winner this autumn, instead revealing two winners in 2019. The decision announced at 9 am Swedish time following a meeting on Thursday, comes after a string of sexual assault allegations made against the French photographer Jean-Claude Arnault, the husband of academy member and poet Katarina Frostenson. “The active members of the Swedish Academy are of course fully aware that the present crisis of confidence places high demands on a long-term and robust work for change. We find it necessary to commit time to recovering public confidence in the academy before the next laureate can be announced. 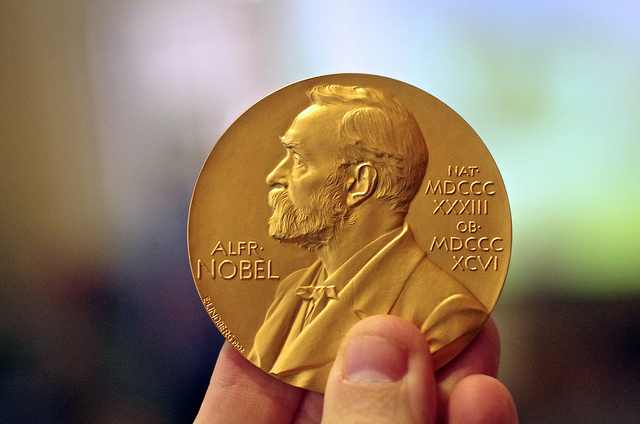 This is out of respect for previous and future literature laureates, the Nobel Foundation, and the general public,” said Anders Olsson, interim permanent secretary of the academy. After the allegations against Arnault were made public in November, three members of the 18-strong jury that selects the literature laureate resigned in protest over the decision not to expel Frostenson. Arnault was also accused of leaking the names of seven former Nobel winners. He denies both claims. With academy members engaging in unprecedented fights in the Swedish press, permanent secretary of the academy Sara Danius resigned on 12 April – to widespread protests in Sweden over the implication that she was taking the hit for male misbehaviour – as did Frostenson, after a three-hour meeting. Membership of the academy, which was established in 1786 by Swedish king Gustav III, is intended to be for life, resulting in any resignations leaving an empty chair until the jury member’s death. Following the spate of recent departures, Sweden’s King Carl XVI Gustaf announced he would change the rules, allowing new members to be appointed to replace resigning members. With only 10 active members on the 18-person jury, the academy said it would spend the year rebuilding its membership and overhauling its practices, including “modernis[ing]” its statutes. It also said that “routines will be tightened regarding conflict-of-interest issues and the management of information classified as secret”. How the academy chooses the winner of the literature award has remained opaque over the last century. Each February, academy members review around 200 nominations, coming up with a shortlist by May, and then reading up on the five authors still in the running for the prize over the summer. The winner is the author deemed to best fulfil Alfred Nobel’s desire to reward “the most outstanding work in an ideal direction”. The honour has not been awarded on seven occasions since its launch in 1901, although previously never over a scandal. The prize was missed in 1914, 1918, 1940, 1941, 1942 and 1943, during the first and second world wars, and in 1935 for reasons never disclosed. It has also been “reserved” – due to a lack of suitable winners – in 1915, 1919, 1925, 1926, 1927, 1936 and 1949. The reputation of the prize, which has been won by writers from Samuel Beckett to Rabindranath Tagore, was also called into question in 2016 when the academy chose musician Bob Dylan as its Nobel laureate “for having created new poetic expressions within the great American song tradition”. The Nobel Foundation now expects the academy to “put all its efforts” into restoring its credibility, Heldin added, calling on the remaining members to show “greater openness towards the outside world” in the future.